Daniel Sturridge has had a stop start career in the last couple of years and there appears to be no respite immediately after he has been ruled out yet again with a slight knock. Sturridge started playing for new manager Jurgen Klopp only recently and he has already gone into the sidelines following a knock in training. The new manager has claimed that he does not know when the striker would be able to resume first-team football once again. This comes as a major disappointment for Liverpool fans, who had played a lot of faith in the 26-year-old striker. Roy Hodgson reckons matches against some of the strong teams in the coming months will provide the ideal test for England ahead of the Euro Cup 2016. England blew away all the opponents in the qualifiers, but, Hodgson has the idea that in the main tournament, the level of the opposition would not be quite the same. 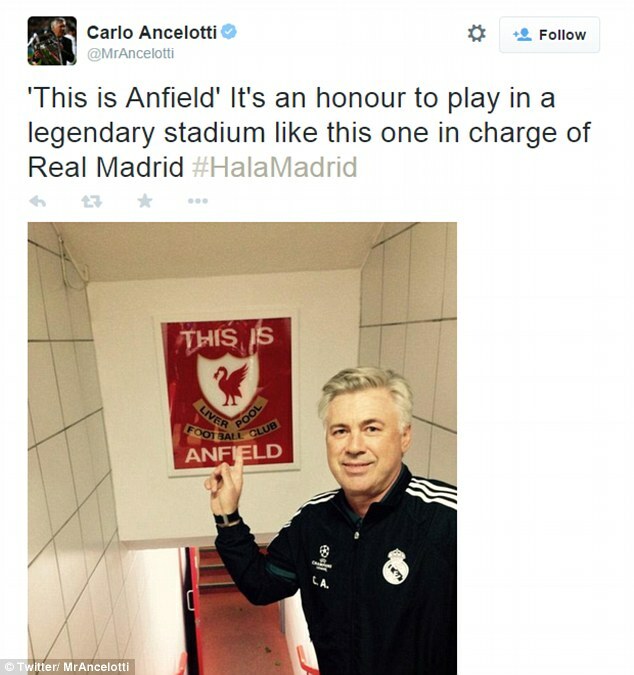 Carlo Ancelotti has denied being in line to be appointed in charge at Anfield where the manager’s position is vacant at the moment following the axing of Brendan Rodgers. The Italian who has recently gone under the knife to sort his back trouble has no plans to make his way back to business at any point of time this season. Liverpool manager Brendan Rodgers has provided a huge positive to the team by admitting that striker Daniel Sturridge could be back in the first-team for the game against Norwich. Liverpool struggled without Daniel Sturridge more than they were hampered after the loss of Luis Suarez according to former goalkeeper David James. The club once again finished outside the top four places – after a season in which they had secured runners-up spot – and much of it was down to the lack of goals. After having come close to breaking the Premier League scoring record in a campaign, Liverpool managed just over the goal per game last season. Summer signing Mario Balotelli returned just one league goal from his exploits throughout the campaign. Striker Daniel Sturridge has suffered a fresh blow in his attempts to recover from a hip injury that he suffered a few weeks ago. He was forced to miss the England Euro 2016 qualifying matches due to this injury. It was back during the season of 2004-05 when Liverpool managed to win their last Champions League title as the Premier League club overcame Ac.Milan in a dramatic match and penalty session. It’s been over 9 years since Liverpool has managed to lift the European trophy and it doesn’t seem like it will be happening anytime soon as Liverpool could not even manage to progress past the group stages of this season. This season has been a disastrous one for Liverpool and especially Brendan Rodgers as the coach from Northern Ireland just keeps on getting negative news concerning his players and the results continue disappointing. Liverpool was able to finish their previous season of the Premier League on a high note as they claimed the 2nd spot and were only 3 points away from winning the English title but things have been the total opposite in this new season as things began to collapse after Luis Suarez was sold to Barcelona. Liverpool have been given a major blow with the news that Daniel Sturridge will miss another six weeks of action due to yet another injury. The forward has not played for the club since suffering a thigh injury while on international duty with England back in September. He has represented Liverpool in only three league matches this campaign. His absence is seen as one of the main reasons for the club struggling to score goals. The Reds have slipped to 11th position in the table after the latest defeat against Chelsea just before the international break. As we enter into the international break, many Premier League footballers will be using the time off to take a well-deserved rest. This is a feeling that's been echoed across teams, but none more so than at Liverpool, whose Daniel Sturridge is currently out of action with an injury.